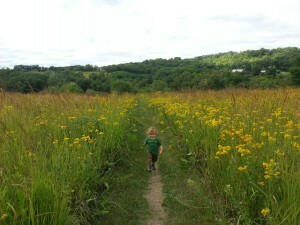 The Conservation Fund is a national land trust that has had a significant impact in Wisconsin. 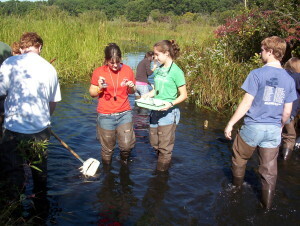 Known for its collaborative approach, the Fund’s conservation efforts serve to enhance and protect air and water quality, wildlife habitat and public recreation areas that preserve connections to our natural, cultural and historical heritage—all while creating opportunities to enhance economic opportunities for nearby communities and sustain local jobs in the forestry industry. 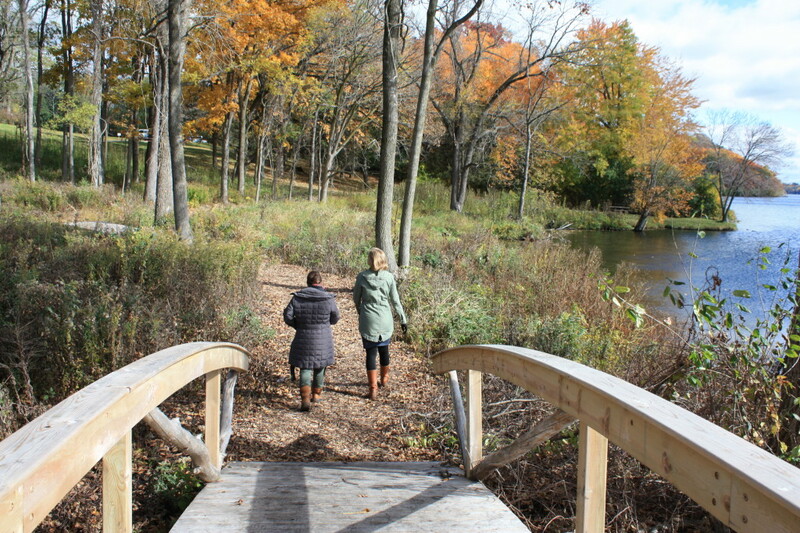 The beautiful Brule St.-Croix Legacy Forest will benefit the region in many ways, forever. Photo courtesy of The Conservation Fund. 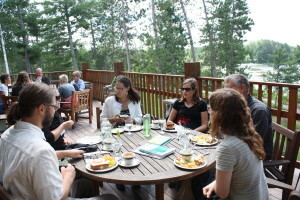 Since the Fund opened its Upper Midwest office in 2005, it has nurtured partnerships for the protection of large-scale forest and watershed conservation. 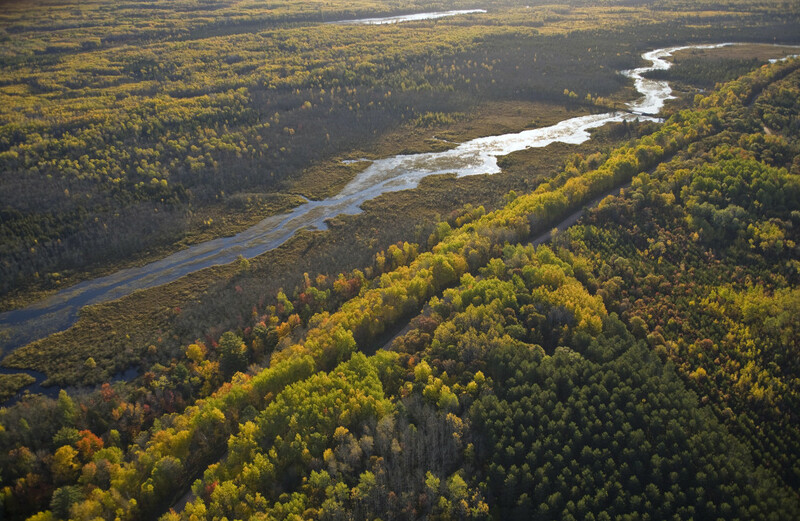 Notably, the Fund played an integral role in the permanent protection of the Brule-St. Croix Legacy Forest, which represents the largest conservation project in Wisconsin’s state history. Each year, the Legacy Forest provides more than 1000 Wisconsin jobs and brings in $34.1 million through employment, timber sales and taxes. The Legacy Forest also provides habitat for several threatened and endangered species, plays a critical role in protecting the region’s water supply, and is open to the public for hiking, fishing, trapping, cross-country skiing, hunting, and bird watching. Without the collaborative efforts led by the Fund, vast tracks of land like this one would be at risk for development, forever changing our Northwoods landscape and quality of life. Nearly 76,000 acres have been protected in Wisconsin as part of the Fund’s Upper Midwest initiative. This work, accomplished in less than 10 years, is absolutely phenomenal. The Conservation Fund will be recognized for the tremendous impact they are having in Wisconsin, as the Land Trust of the Year at Gathering Waters’ 12th annual Land Conservation Leadership Awards Celebration on September 25th, at the Monona Terrace in Madison. Find out more about this event or RSVP on our website! Roy and Charlotte Lukes are treasured Door and Kewaunee County naturalists and conservation icons. 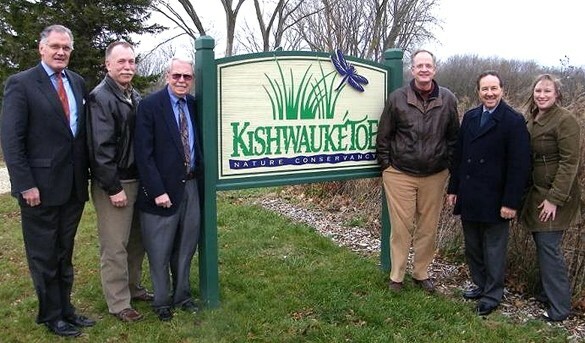 They have worked as a team for over 40 years educating countless children and adults on the wonders of the natural world and the tremendous importance of protecting Wisconsin’s wild places. The Lukes have been huge contributors to the Door County Peninsula’s educational curriculum, designed to help people better understand the area’s history, geology, plants, and wildlife. Roy was the first Chief Naturalist and Manager of The Ridges Sanctuary, has written over 1600 nature essays for area newspapers, and five books on The Ridges, Toft Point and the flora and fauna of Door County. Charlotte has identified more than 550 species of mushrooms in Door County and is working on putting her information into a book. 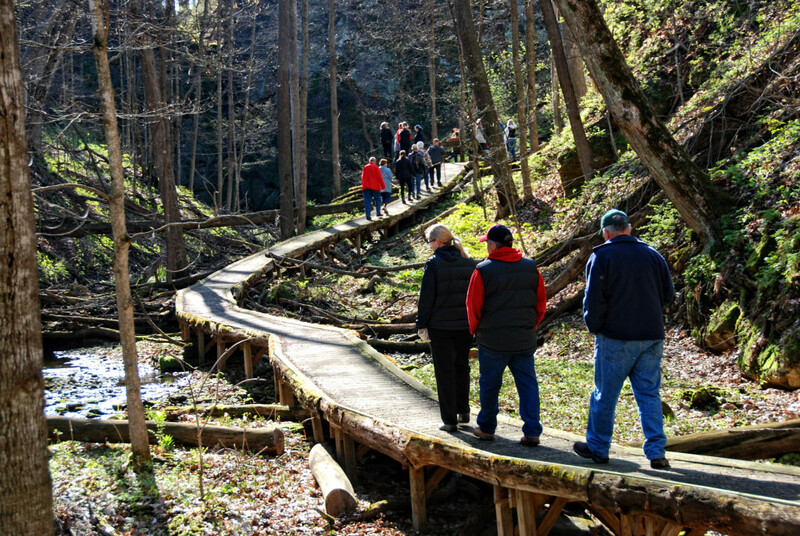 Together, they have led hundreds of hikes in Door County, early morning bird outings and workshops for residents and visitors. The Lukes have been huge contributors to the Door County Peninsula’s educational curriculum, designed to help people better understand the area’s history, geology, plants, and wildlife. In fact, in 2000, Roy and Charlotte founded the Friends of Toft Point, to help preserve and educate others about the Toft Point State Natural Area. The Lukes are certainly deserving of the Harold “Bud” Jordahl Lifetime Achievement Award, which will be presented to them at Gathering Waters’ 12th annual Land Conservation Leadership Awards Celebration on September 25th, at the Monona Terrace in Madison. 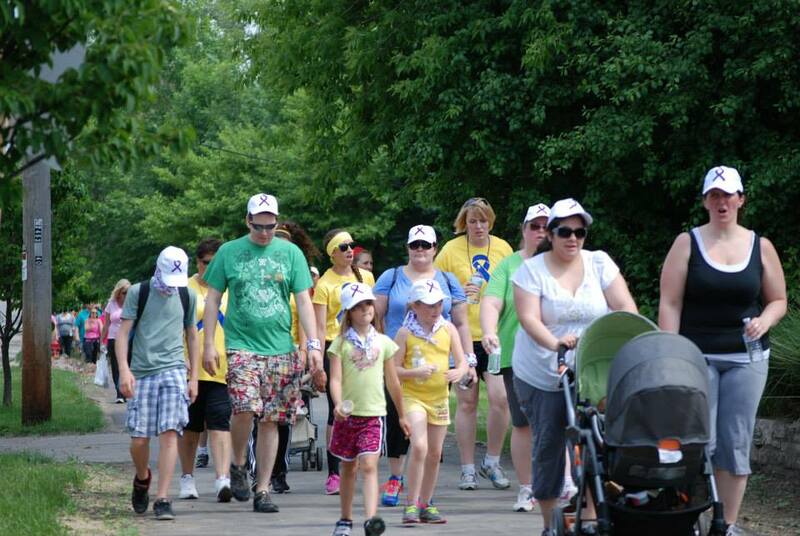 Find out more about this event or RSVP on our website! 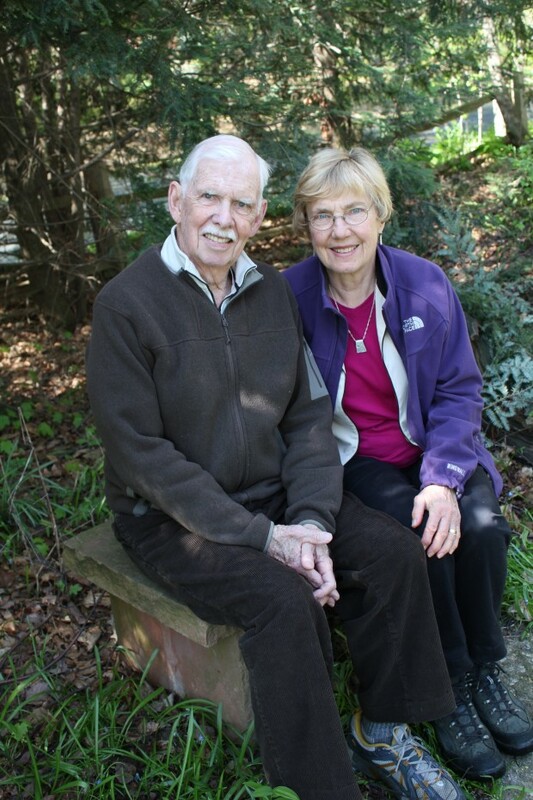 We are saddened to report that Dr. Noel Cutright passed away peacefully on the evening of November 10, at his home outside West Bend, with his loving and devoted wife Kate at his bedside after they had spent the weekend with all three of their children. We were honored to present Dr. Cutright with a Lifetime Achievement Award at our 2010 Land Conservation Leadership Awards Celebration. He received numerous awards for his tireless work on bird conservation projects, including a Lifetime Award for Citizen-based Monitoring from the Wisconsin Department of Natural Resources in 2007, Lifetime Achievement Award from Gathering Waters Conservancy in 2010, several achievement awards from the Wisconsin Society for Ornithology, the first annual Lorrie Otto Memorial Award from the Milwaukee Audubon Society in 2011, and a DNR Special Recognition award in 2013. Noel was the only child of Harvey and Mabel Thomas Cutright, both deceased, of Hillsboro, Ohio. He grew up in southern Ohio on Fort Hill State Memorial, an Ohio State Historical Society property near Sinking Spring. He met botanists and ornithologists who did research in the park and he helped his father, who was the memorial’s superintendent, maintain the property. He attended Miami University in Oxford, Ohio and was awarded master’s and PhD degrees from Cornell University in Ithaca, N.Y.
Noel was an avid birder who loved introducing newcomers to the wonders of birding. He gave programs about bird and environmental issues to bird clubs around the state. 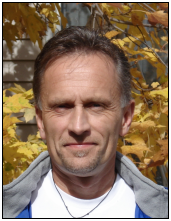 He participated in hundreds of Christmas Bird Counts and federal Breeding Bird Surveys and served as Wisconsin coordinator of the Great Backyard Bird Count. He was best-known to many as one of the voices on Wisconsin Public Radio’s holiday call-in show about birds. Noel is survived by his wife, Kate Redmond; his children, Robyn Cutright (Drew Meadows) of Lexington, Ky., Seth Cutright of Port Washington and Laurel Cutright of Milwaukee; Kate’s sisters, Molly Redmond (Steve Ring) of St Paul, Minn., Gail Redmond of Kennan; a nephew: Michael Ring (Flannery Clarke); first cousins, Mike (Ronnie) Zindorf, of Richmond, Va., Karen Fuson (Jim Hall) of California, Dede (Art) Agosta, of Scottsdale, Ariz., and John (Jan) Thomas, of Cincinnati, Ohio, and many wonderful friends in the birding community. 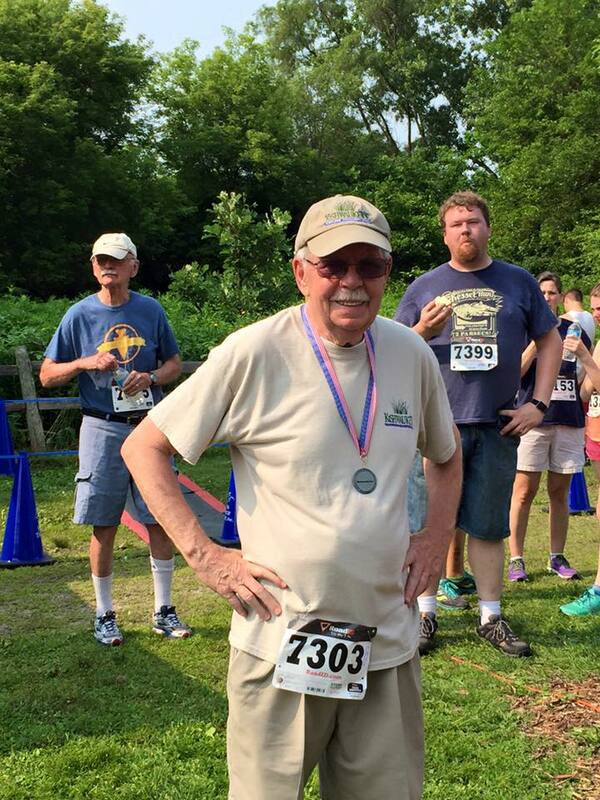 Dr. Cutright, you will be missed, but your memory and legacy will live on. The Prairie Enthusiasts’ chair Jack Kussmaul’s smile is just the tip of the iceberg on how inspired we felt by these conservation leaders. On a beautiful September night, nearly 300 people from across the state gathered for our 11th Annual Land Conservation Leadership Awards Celebration to honor some of Wisconsin’s most inspiring conservation leaders. You can view a slideshow of the winners and the event highlights and feel just as inspired as we did by their stories. Congressman Mark Green (8th Congressional District) used these eloquent words to describe one of Dan Lemke’s signature land protection projects in Wisconsin. Dan, Plum Creek’s Senior Land Asset Manager and one of our 2013 winners of the Rod Nilsestuen Award for Working Lands Preservation, shows not just a true commitment and dedication to growing and preserving Wisconsin’s forested lands but also a flexible and creative drive that makes him stand out in a crowd of eminent conservationists statewide. Some of Dan’s most notable conservation efforts include his work on a Wolf River conservation easement that permanently conserved 18,500 acres of working forest for recreational use and wildlife habitat and a Chippewa Flowage conservation easement that protected more than 18,000 acres of hardwood forest in Northern Wisconsin. Dan has played a key role in the permanent protection of more than 60,000 acres of Wisconsin timberland. As working forests, these acres continue to produce sustainable forest products for the state’s timber industry and provide permanent public access and land protection for critical bird habitat. These unique conservation easements help to support Wisconsin’s two largest industries while conserving lands that have great value – whether for scenic, wildlife, or recreation. Dan’s hard work has helped not just the forestry and tourism industry flourish, but transformed the northwoods into the beautiful and cherished gem that defines it today. His continued dedication to helping preserve important and valuable forest lands for generations to come is truly an asset and we thank him for his dedication. 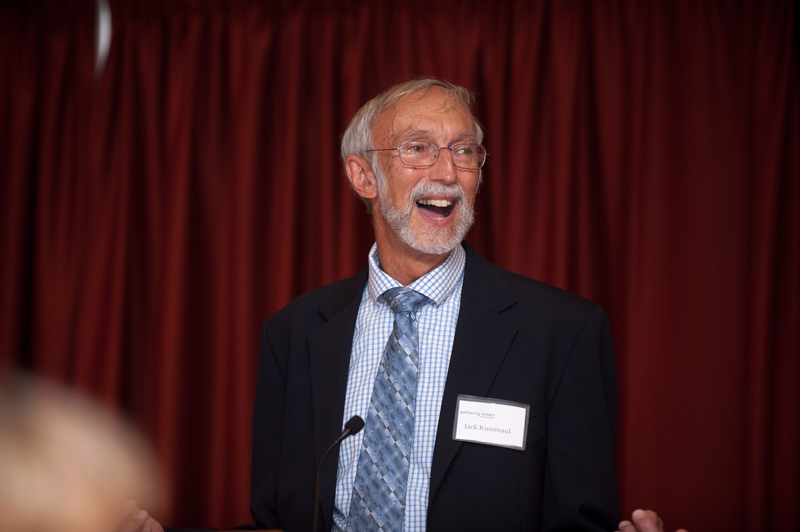 Please join us in celebrating and honoring Dan’s many achievements at our annual Land Conservation Leadership Awards Ceremony on September 26th at the Monona Terrace in Madison, WI. On behalf of Wisconsins farms, natural resources and ag economy: Thank you, Tom! Tom Lyon, one of this year’s winners of the Rod Nilsestuen Award for Working Land Preservation, has been dedicated to farmland protection for over 25 years. Tom was a successful agribusiness leader who built a breeding cooperative in Shawano into an international success. Tom also served on the board of American Farmland Trust and remains a trusted advisor to this day. Through his efforts, American Farmland Trust re-established a presence in the state and raised tens of thousands of dollars to support that effort. Tom was a visionary who saw the urgent need to preserve working lands and understood that they were a critical natural resource, fundamental to life itself and to the state’s most basic industry. He realized that the wasteful destruction of these lands would have grave consequences for our economy, society and environment and thus he began to work on a toolkit that would enhance Wisconsin’s farmland protection. His work on this toolkit took place in a successful partnership with the namesake of this award, Rod Nilsestuen, which established the Working Lands Initiative and Purchase of Agricultural Easements (PACE) program. Together, they built the program from the ground up, seeking input from citizens all across the state at forums, workshops, and listening sessions. PACE has resulted in the protection of thousands of acres of working lands, helping to reduce the trend of rapid farmland losses throughout the state. Tom continues to be active in farmland protection efforts, serving as a key member of the Friends of Farmland Protection Coalition, which was assembled by American Farmland Trust, and 1000 Friends of Wisconsin, a group that promotes wise land use. Please join us in celebrating and honoring Tom’s many achievements at our annual Land Conservation Leadership Awards Ceremony on September 26th at the Monona Terrace in Madison, WI. Howard & Nancy Mead, the winners of this year’s Harold “Bud” Jordahl Lifetime Achievement Award, have been an active and abiding presence in Wisconsin’s conservation community for more than 50 years. As the publishers of ‘Wisconsin Trails’ from 1961 to 1998 they specialized in helping others tell their stories about special places and people in Wisconsin — which, in turn, that helped others to learn more about the land and how they might care for it. It has been said that on a good day, conservationists provide voices for the land itself. 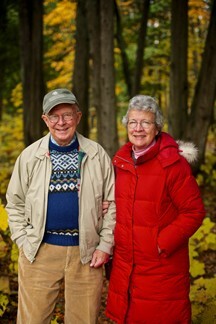 Howard and Nancy Mead have spent more than 50 years speaking for the land with eloquence, passion and commitment. They have given people the chance to form a bond with nature through the stories that they share and have been responsible for enlisting hundreds of citizens to the cause of conservation. Please join us in celebrating and honoring the Meads’ many achievements at our annual Land Conservation Leadership Awards Ceremony on September 26th at the Monona Terrace in Madison, WI.